In this activity, students will apply their knowledge of quadratic equations and their graphs to complete a series of tasks. There are multiple levels available, allowing for differentiation in the classroom. 1. Students will begin with Sam the Fireman Level 1. They must write a quadratic equation that will create a path for water to follow from the hose to the fire. If students ask for help, direct them to their notebooks and information from the previous activity. Placing students in pairs or small groups will encourage discussions and should be considered. 2. Students should complete Level 2 and Level 3. 3. 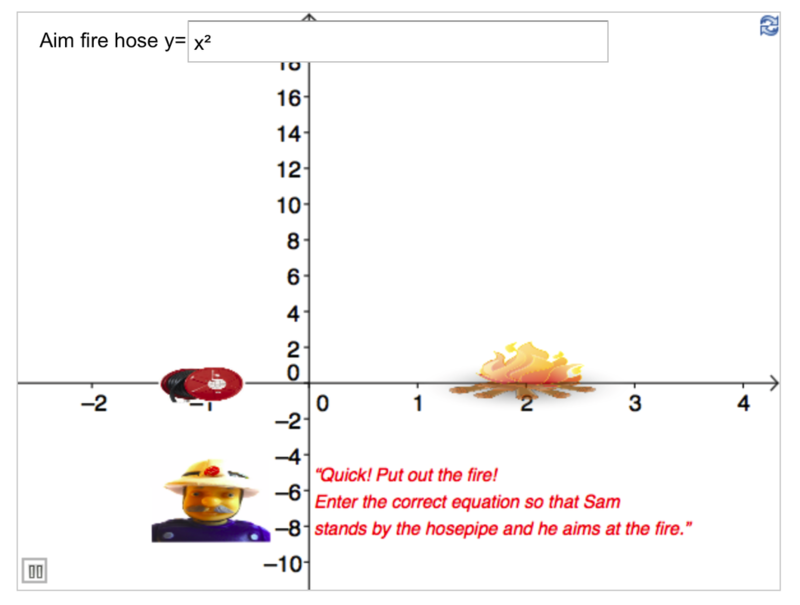 After finishing the graphs for Sam the Fireman, students may start Angry Birds Level 1, moving on to Angry Birds Level 2 as necessary. Note: This activity should take at least one, if not two forty minute periods, depending on student engagement and perseverance. If frustration is becoming an issue, consider putting students in groups or pairs to facilitate discussions. Update: Teach Mathematics is a paid site. While these activities were in the free section when this lesson was developed, they are now for subscribers only. Screenshots are included in this lesson to allow non-members to view the activity. Above links will not work unless you are a member of the site. The assessment activity for this unit is a quick formative assessment using a Kahoot as a ticket out the door. 2. Students will answer four questions about the effects equations have on the graph of a parabola.